We think Sentle is great (but we are biased)…though we don’t rest on our laurels here at Sentle Towers, so on this page you’ll fund news about the super new features and updates we’ve released. You lucky people! 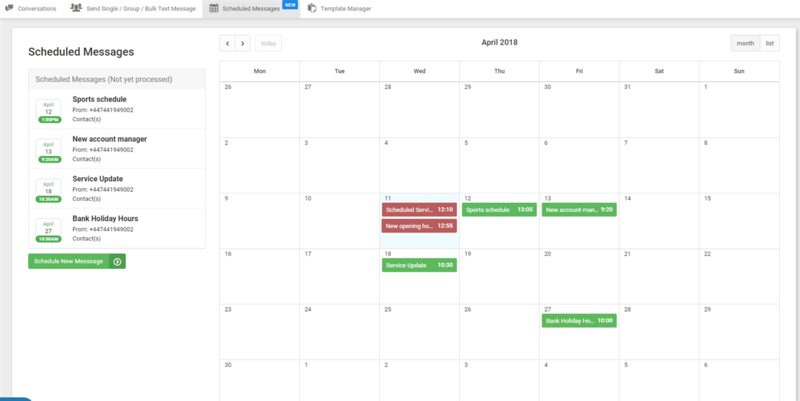 You can now schedule text messages to single contacts or groups to go out on a specific date and time meaning that you don’t have to send messages as soon as you have created them. That means you can now plan ahead, use your time efficiently and relax in the knowledge that your customer comms is in place if you get a called into that last minute meeting! Check out the user guide for scheduled message here. You can now preview emails from your inbox without having to click into the email allowing for quicker navigation and deletion where appropriate. This view also offers a more familiar feel to that of popular email platforms. You can now directly export contacts from Sentle into MailChimp lists and visa versa. Contacts can be selected directly or via data tags before exporting. Take Sentle for a free, no obligation 30 day trial. No credit card required. No pushy sales calls. Try Sentle out, we are sure you’ll love it!